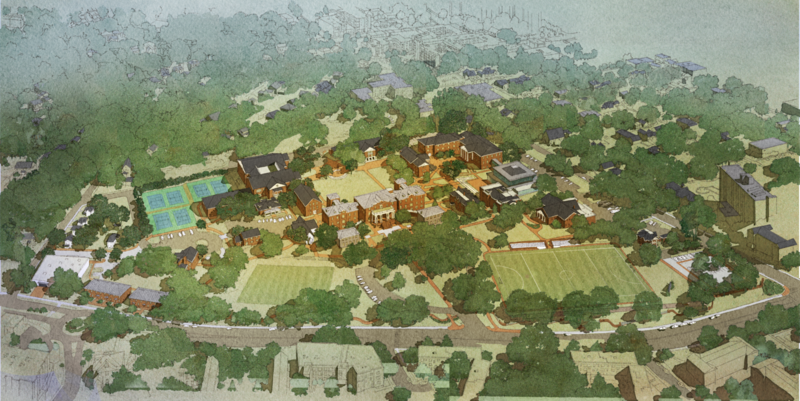 AN ALL-GIRLS BOARDING AND DAY HIGH SCHOOL founded in 1842, Saint Mary’s School hired Glavé & Holmes to develop a Campus Master Plan for their 23-acre urban campus in Raleigh, North Carolina. The plan supports the mission, vision, and strategic plan of the School by developing sustainable and achievable goals to implement in the short and long term. Glavé & Holmes started the process by reviewing and documenting the existing conditions of the 29 buildings on campus. The team identified community focused, pedagogically sound opportunities for cost-effective renovation or expansion of existing spaces. A program analysis, phasing plan, and cost estimate were also provided to help prioritize the projects. 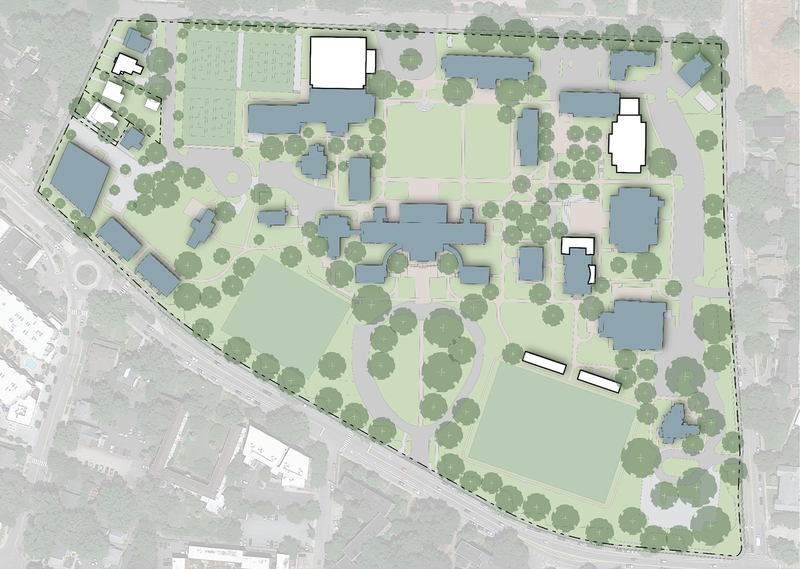 As a guide for long-range developments, the Master Plan created a practical, yet clear vision for future projects: enhance the all-girls experience, capitalize on the legacy and location, and re-energize the campus to maximize existing resources. The Master Plan identifies five, ten, and fifteen-year priorities. Each phase implements portions of five campus focus areas for improvement: Academic, Athletic, Student Housing and Services, Faculty and Staff Housing, and the Campus Grounds.